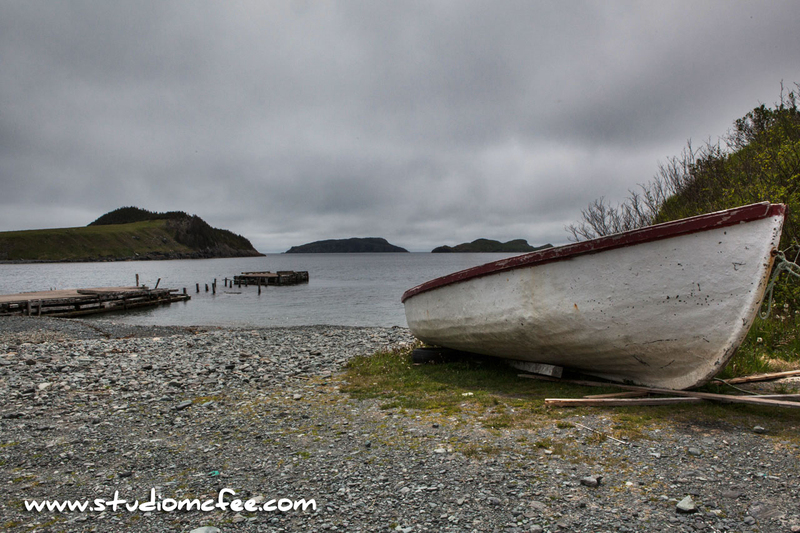 South of St. John's NL, I came upon this scene: A beached wooden boat and a dock in disrepair. It's a bit bleak but compelling at the same time. It portrays some sense of the past and documents a changing Newfoundland. It almost says, "Nothing lasts forever." I find myself intrigued by the old ways, by our cultural and economic heritage. It doesn't matter whether it's fishing in Newfoundland, wheat farming in Manitoba, or the old family farm in Ontario. Wooden boats, Prairie grain elevators, the iconic Ontario post and beam barns … all catch my attention. I suppose I am drawn to these things because they are disappearing but, at the same time, I find beauty. I am not opposed to change. I am an avid user of new technologies. I am not 'hankering' to go back to the old ways. But I do think we need to preserve something of our past. I don't want to stand in the way of genuine progress. Demolishing the old to build the new is not always progress. For my part, I am simply trying to capture the beauty of our country and its intriguing heritage. For more photos of our Canadian heritage visit A Changing Canada.